No matter the weather conditions, this Permanent Survival Match has your back! It lights in rain, snow, wind, and more! Take it with you on camping, hiking, an survival adventures. 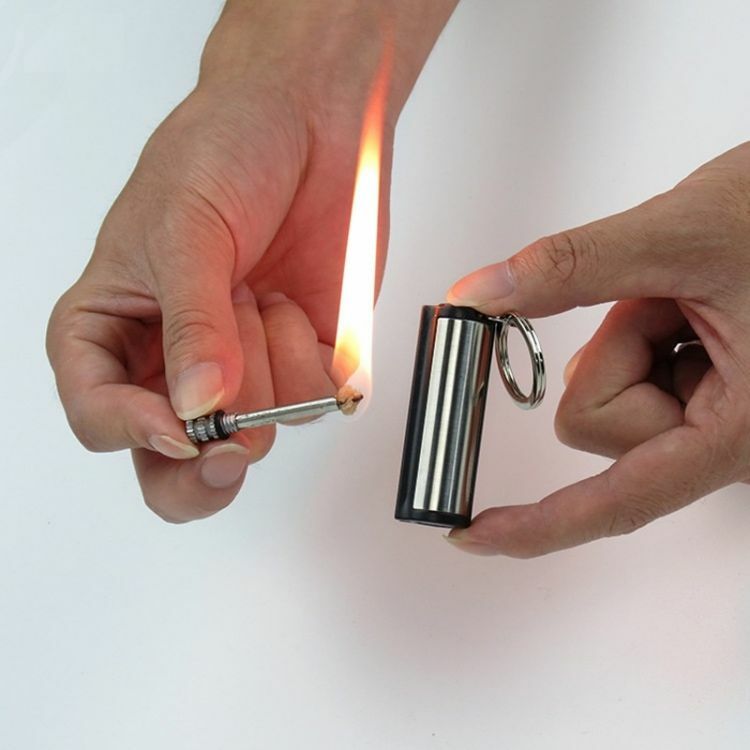 You can even use it as an every-day lighter. Lights a variety of things like campfires, stoves, paper, you name it! Note: ALWAYS USE CAUTION WHEN OPERATING THIS TOOL. The permanent match can contain lighter fluid, which is extremely flammable. Do not screw in rod when it is still lit. Make sure the match is rubbed down before use.